^ 菲頒命令 南海改名西菲律賓海 林行健/馬尼拉/中央社 2012-9-12. [2016-02-21]. （原始内容存档于2014-05-15）. ^ 越南外交部：中國漁船撞沉越南漁船. BBC. 2014-05-27 [2014-05-27]. ^ Daily Press Briefing - February 17, 2016. [2016-07-20]. （原始内容存档于2016-08-22）. ^ 自由時報. 美2軍艦駛近南海西沙群島 中國氣得跳腳. [2018-05-28]. ^ 防衛太平島 傳軍方秘密部署武器. 《美洲台灣日報》. 2012-09-05 [2016-07-28]. （原始内容存档于2016-10-11）. ^ 中國外交部公開宣布放棄南海納土納群島主權. 博聞社. 2015-11-12 [2016-07-17]. ^ 日助印尼開發離島納土納 日媒：牽制中國 - 國際 - 自由時報電子報. 自由時報. 2017-09-08 （中文（台灣）‎）. ^ 南海诸岛大事记. 海南史志网>地方志书>海南省志>西南中沙群岛志>附录. 2009年6月15日 [2009年6月15日] （中文（简体）‎）. ^ The History of the Kingdom of Colonia St John. www.colonia.asia. 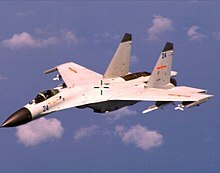 8 August 2008 [2008年8月8日] （英语）. ^ 本刊特约记者：余东. 揭开美国疯子编造南沙“人道王国”的面纱. 环球网>国际新闻>国际新闻>正文. 2009年7月20日 [2009年7月20日] （中文（简体）‎）. ^ 张涛 (zt). 南海诸岛大事年表（1950年－1974年）. 南沙群岛在线>南沙群岛历史点滴. 2006年4月24日 [2006年4月24日] （中文（简体）‎）. Bateman, Sam; Emmers, Ralf (编). Security and International Politics in the South China Sea: Towards a co-operative management regime illustrated. Taylor & Francis. 2008 [10 March 2014]. ISBN 0-203-88524-4. Kivimäki, Timo (编). War Or Peace in the South China Sea?. Contributor Nordic Institute of Asian Studies illustrated. NIAS Press. 2002 [10 March 2014]. ISBN 8791114012. ISSN 0904-597X. Morley, James W.; Nishihara, Masashi (编). Vietnam Joins the World. M.E. Sharpe. 1997 [10 March 2014]. ISBN 0-7656-3306-X. Nordquist, Myron H.; Moore, John Norton. Security Flashpoints: Oil, Islands, Sea Access and Military Confrontation ; [twenty-first Annual Seminar Held at the UN Plaza Hotel in New York City from February 7 – 8, 1997]. Martinus Nijhoff Publishers. 1998. ISBN 90-411-1056-9. Pak, Hŭi-gwŏn. The Law of the Sea and Northeast Asia: A Challenge for Cooperation. Publications on Ocean Development 35. Martinus Nijhoff Publishers. 2000 [10 March 2014]. ISBN 9041114076. Severino, Rodolfo. Where in the World is the Philippines? : Debating Its National Territory illustrated. Institute of Southeast Asian Studies. 2011 [10 March 2014]. ISBN 9814311715. Wortzel, Larry M.; Higham, Robin D. S. Dictionary of Contemporary Chinese Military History illustrated. ABC-CLIO. 1999 [10 March 2014]. ISBN 0-313-29337-6. Bautista, Lowell B. PHILIPPINE TERRITORIAL BOUNDARIES: INTERNAL TENSIONS, COLONIAL BAGGAGE, AMBIVALENT CONFORMITY (PDF). 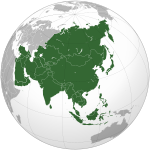 JATI – Journal of Southeast Asian Studies. December 2011, 16: 35–53. （原始内容 (PDF)存档于2013-07-30）. Raine, Sarah; Le Miere, Christian. Regional Disorder: The South China Sea Disputes. Routledge for IISS. 2013. Rowan, Joshua P. The U.S.-Japan Security Alliance, ASEAN, and the South China Sea Dispute (PDF). Asian Survey. 2005, 45 (3): 414–436. doi:10.1525/as.2005.45.3.414. （原始内容 (PDF)存档于2010-08-16）. Tupaz, Edsel. Sidebar Brief: The Law of the Seas and the Scarborough Shoal Dispute. JURIST. 27 April 2012. Weissmann, Mikael. The South China Sea Conflict and Sino-ASEAN Relations: A study in conflict prevention and peace building (PDF). Asian Perspectives. 2010, 34 (3): 35–69. （原始内容 (PDF)存档于2014-07-28）.